As you've already heard, our film, What Hamlet Said was accepted into the Summer 2018 Southern Shorts Awards. The festival was Saturday and we brought home the statue for Best Made in Georgia. We are proud of our movie and humbly thank everyone involved with the movie and everyone involved with the Awards. The movie may be seen on our new Vimeo channel, Vimeo.com/christopherray. 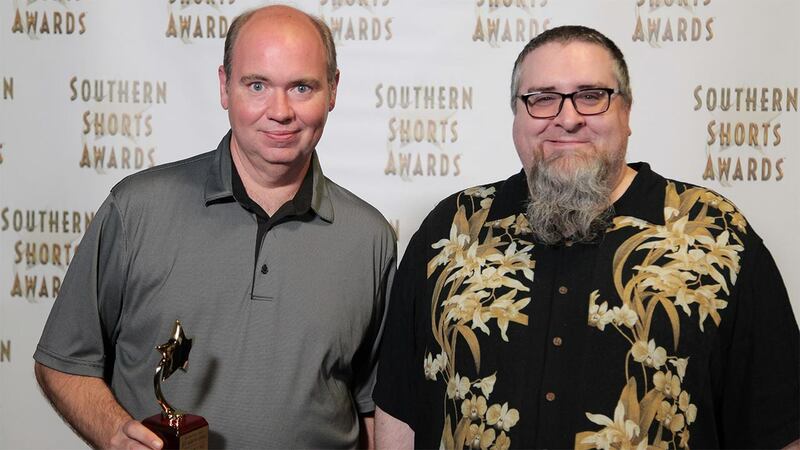 This week, Larry and Chris discuss winning the Best Made in Georgia Award for their film What Hamlet Said at the Summer 2018 Southern Shorts Awards. Also, the Top Ten Pumpkin Spice Products that should not be. Enjoy!